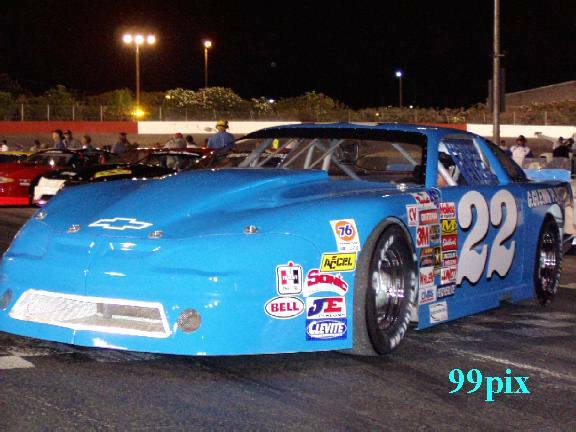 When Dave Byrd, #9, took the lead on lap 25 of the Tri-Holiday Classic 100-lap main event Saturday night, it might have seemed unrealistic to think he could stay in front the remainder of the race. But that's what the Pacific Grove driver was able to do before a crowd of 2,520. With John Moore, #27,(headband), of Granite Bay on his rear bumper at the finish line, Byrd was able to sweat out the win. For Byrd it was his second win of the season, and second in succession. He was the winner on August 16. Points leader Eric Schmidt won the Memorial Day event, and Phil Perry of Lincoln captured Firecracker 100 on July 3. For Moore, #27, it was gut-wrenching loss. In the final 10 laps it seemed like Moore would pass Byrd. But it never happened. 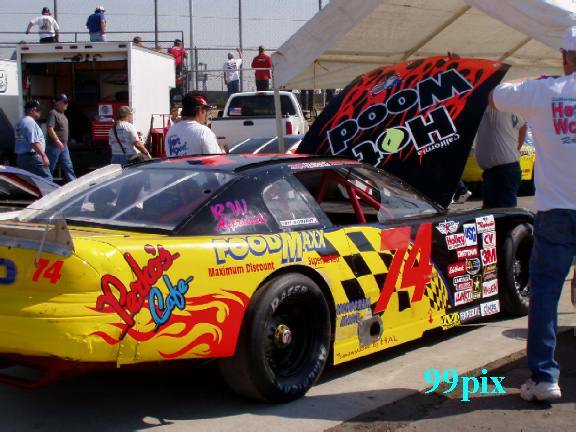 ''That was a good stock car race,'' said Byrd, who is completing his rookie season in the Western Late Model Division. 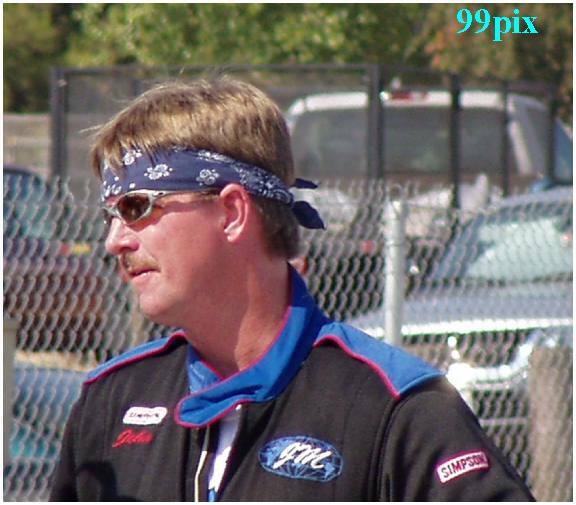 ''Dave and I definitely have the superior cars in these long races. In the final Tri-Holiday points standings, Phil Perry, #22, had 154, Wes Miller 136 and Moore 118. 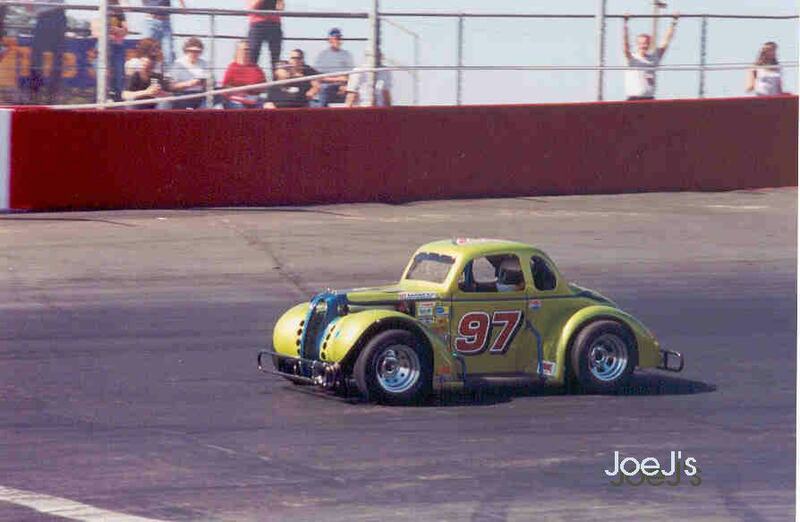 With overall points runner-up Harry Belletto, #74, not even in the race because of a broken rear axle and leader Eric Schmidt going out on lap 36 with engine problems, the overall points championship race remained close. 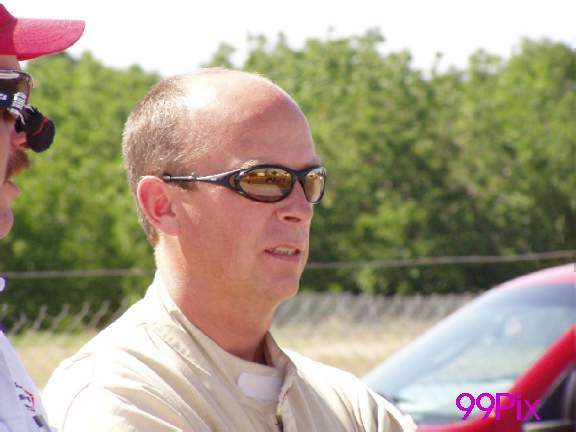 Schmidt, who had a 942-922 lead coming into the race, was able to pick up only eight points on Belletto. His advantage is now 965-937. Byrd came into the race in sixth place with 561 points. Phil Perry, #22, right, came into Saturday's 100-lap main event at Stockton 99 Speedway with a 24-point lead over Wes Miller in the Western Late Model Hotwood Tri-Holiday Classic points race. "I'm not sure what the points breakdown is, but if we finish in the top five we should be safe," said Perry, who won the FireCracker 100 on July 3. "There are probably five guys still in the points race. "I'm going to race to win"
Robert Knittel, of Lodi, #3, was victorious in the 12-lap semi-main. Eric Schmidt, who won the first leg of the Tri-Holiday on May 24, captured the trophy dash and was fast qualifier (14.140). The Tri-Holiday main event was not completed at press time. 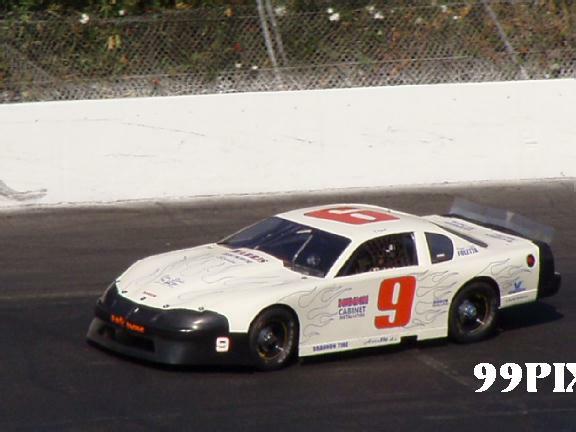 In the overall points race, Schmidt held a 942-922 lead over Harry Belletto. Belletto was not in the starting grid as the main event started. No reason was given for his absence. With Belletto out, Schmidt looked to increase his points lead. 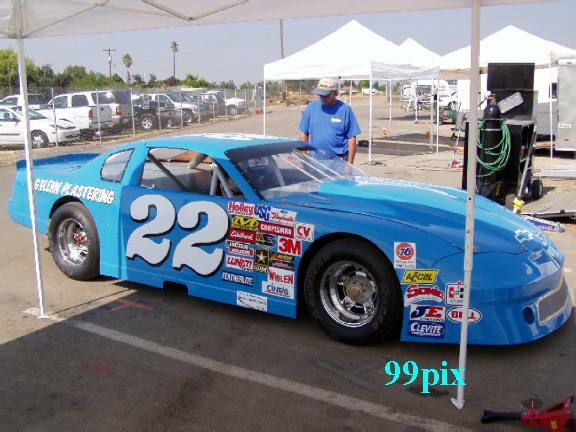 Twenty-one cars started the race, including Belletto's son, Jeff, and four of the top six points leaders. Lodi's Michael Wendt, #1, let it all hang out in the 30-lap Pure Stock main event. He took control midway through the race and pulled away to win by more than 15 car-lengths. It was his third main even win of the season. 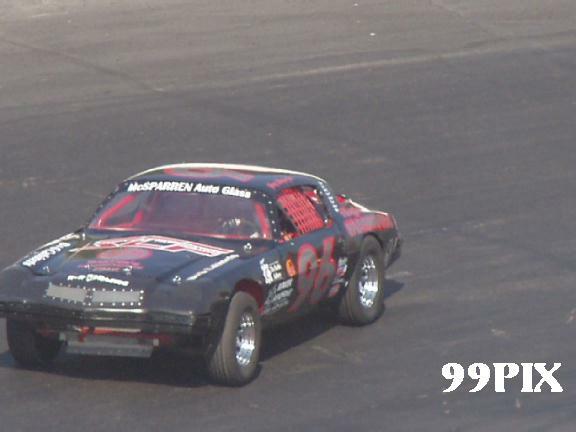 Gary Shafer Jr., #96, of Stockton, was both fast qualifier (17.060) and trophy dash winner. When the race ended drivers Boyd Camper, #4, and Tom Dahl, #04, got into a bumping match in front of the grandstand. Jeff Ahl came into the race with a 714-702 lead in the points race, despite seven main-event wins by Shafer. 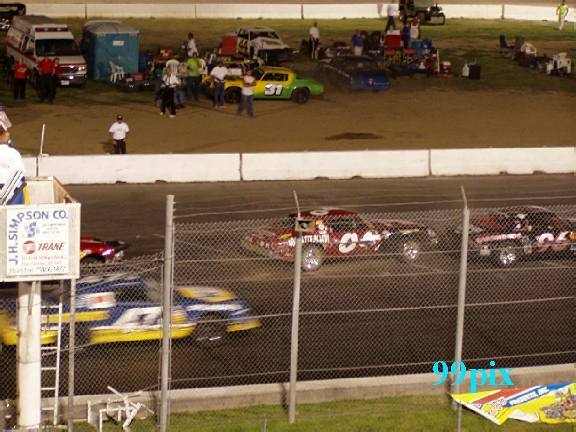 With four caution flags in the first 15 laps, the 30-lap main event was anything but fluid. On lap 17 five cars spun out and the race was stopped so the track could be re-groomed. After one-hour and seven caution flags the race finally came to an end with Marc DeBeaumont, #11d, of Clayton coming home the winner. 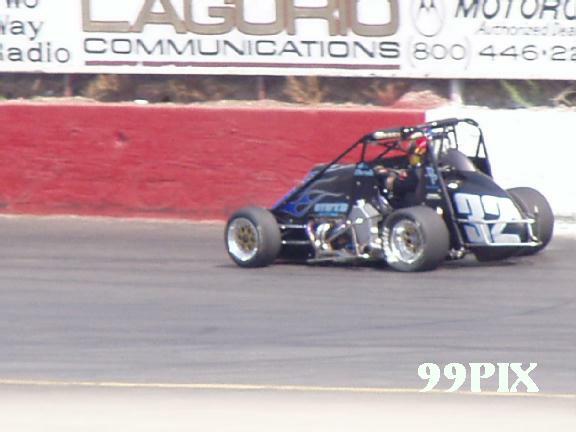 Cameron Beard of Turlock won the 10-lap semi-main. 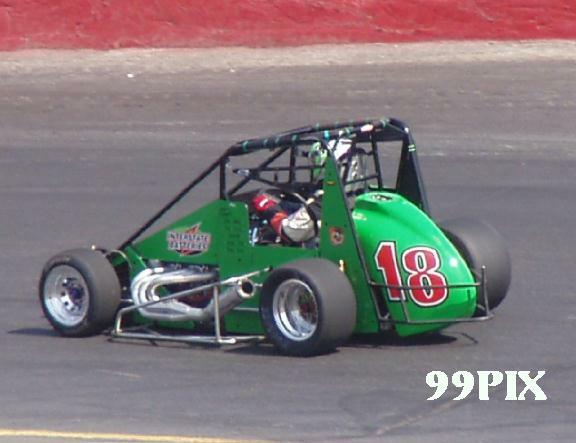 Floyd Alvis, #18, was the fast qualifier (13.583) and Wally Pankratz, #8, finished first in the trophy dash. Heat winners were Steve Roza, DeBeaumont and John Sarale, #32, of Stockton. 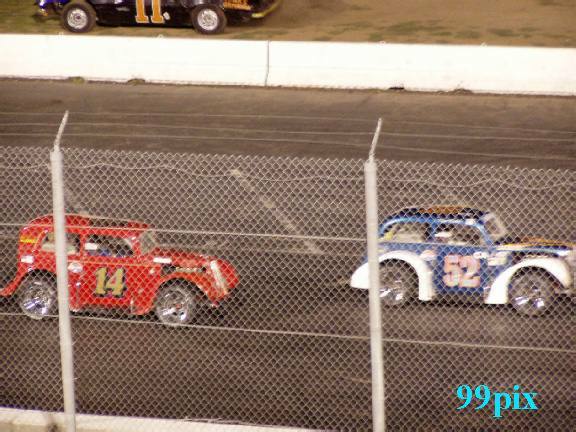 Ryan Mosher, #52 of Cupertino, held off Chuck Scott, #97, of Elk Grove, to win the 30-lap main event. Frankie Winchel, #14 of Sebastopol, was the fast qualifier (15.699), and Richard Appleby, #83, of Yountville, won the trophy dash. 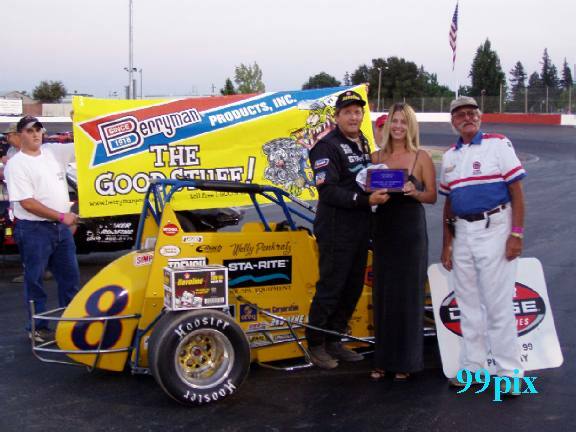 Pete Currin, #6 of Redwood City, Appleby and Steve Fensler Jr., #5, of Elk Grove, were the heat race winners. 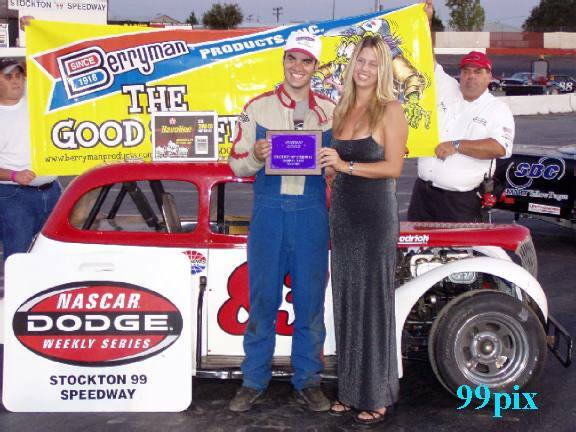 STOCKTON, CA., AUG. 30.: Marc DeBeaumont charged into the lead on the 12th lap and sped to victory in the Bay Cities Racing Association feature at the Stockton "99" Speedway, capturing the sixth event in the seven-race BCRA Shasta Marina Resort Pavement Championship Series.Driving his Ed Pink Ford powered Stealth, the former BCRA and USAC champion made it two-for-two in BCRA action on the high-banked quarter-mile, having won on the paved oval in May.Pete Davis led off the 30-lap feature from the pole in his Esslinger/Beast over Jeff Lee in the Dickenson Pontiac/Stealth. Jim Silva rode third aboard the Chandler Chevy V4/Stealth over Dan Gundo's Gaerte/Stealth. Cliff Servetti, making his first start in nearly two months, charged into fourth on the second lap as DeBeaumont pulled into sixth from his eighth-place starting berth. Glenn Carson in the Bock Esslinger/Stealth battled DeBeaumont, taking sixth on the third round, but losing the position back on the next round with both Servetti and Gundo getting by Silva two laps later. 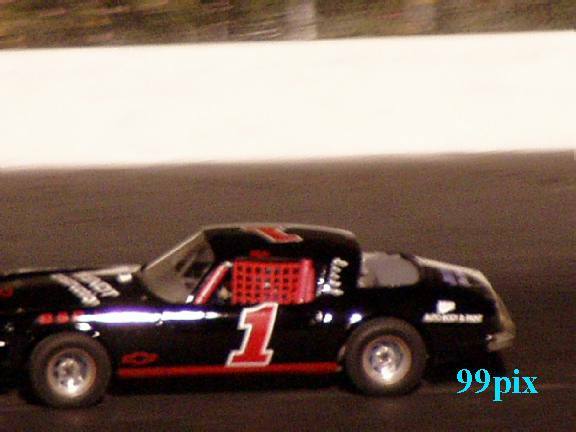 As the front-runners vied for position, Lee Yetter, John Sarale and Wally Pankratz were on the move and soon began challenging the top seven with Carson gaining the seventh spot on the eighth circuit just prior to a spin in turn-four by Dallen McKenney for the first caution flag. Following the green flag DeBeaumont passed Gundo for fourth, then made good his bid over Servetti for third one lap later. On the 11th lap DeBeaumont captured second over Lee. 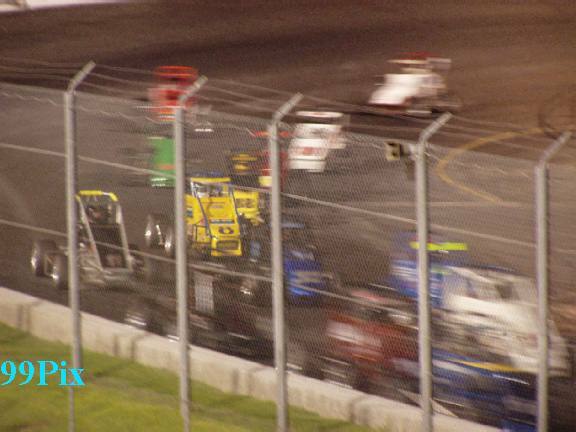 A 12th lap spin in the third turn by tenth-running Travis Berryhill brought out the second caution. At the resumption, DeBeaumont nudged under Davis exiting the fourth turn to take the lead as Sarale, driving the Sarale/Arata Gaerte/Stewart, swept by Carson and Gundo to grab fifth behind Servetti. Two laps later Sarale's charge moved him into third with Pankratz pulling his VanDyne/Edmunds into fifth as Thomas Meseraull moved the Ferrari Brayton Ford/Beast into seventh. 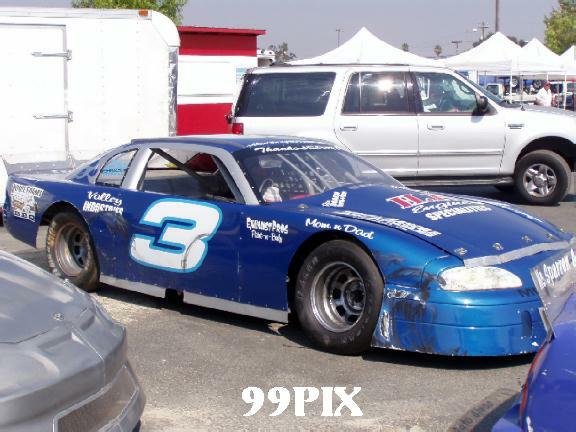 On the 18th circuit the Esslinger/Beast of tenth-running Johnny Rodriguez broke an oil line, spraying oil around the track. The slippery surface was the undoing for Pankratz who spun in turn-four as Davis and Meseraull spun together into the backstretch infield to bring out the red flag because of the oiled track. Following cleanup operations by track personnel, the race restarted with Yetter coasting into the infield. DeBeaumont held the lead over Sarale, Carson, Servetti, Lee, Gundo and Floyd Alvis. 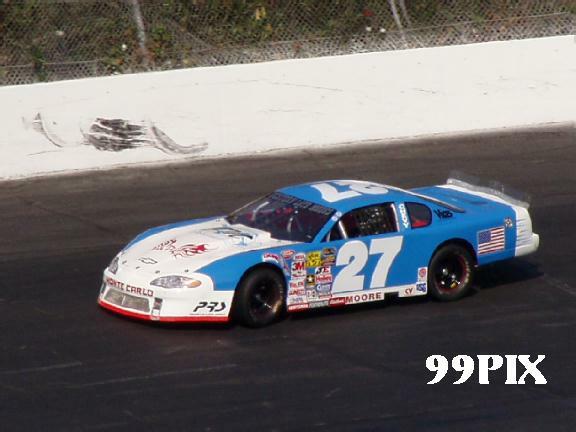 Davis pitted on the 19th lap as the yellow flew for a spinning Carly Lawrence. McKenney succumbed to mechanical woes and pitted two laps later as the pack made their run the remainder of the race caution-free to the finish. Alvis dropped Lee to sixth on the 23rd round as Pankratz worked his way back up to ninth. Alvis, aboard his Interstate Batteries VanDyne/Stealth, continued his forward drive and passed Servetti for fourth at lap-25 as Pankratz moved into eighth, then proceeded to drop Gundo and Lee over the next two laps to hold sixth. 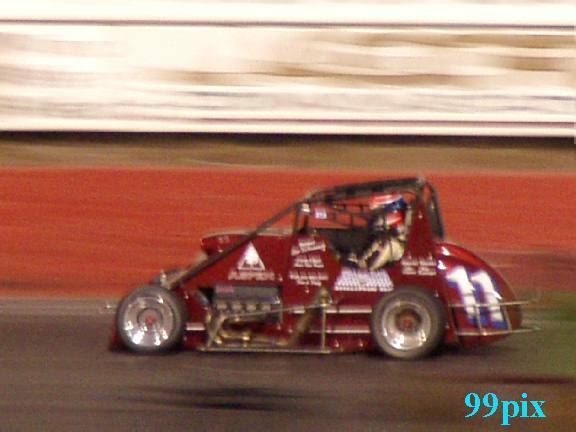 On the 29th lap the former USAC champ displaced Servetti for fifth. At the finish DeBeaumont took the checkered flag over Sarale, Carson, Alvis, Pankratz, Servetti, Lee, Travis Johnson, Gundo and Berryhill, with Cameron Beard, Meseraull, Bill Lindsey and Lawrence rounding out the finisher's on the leader's lap. 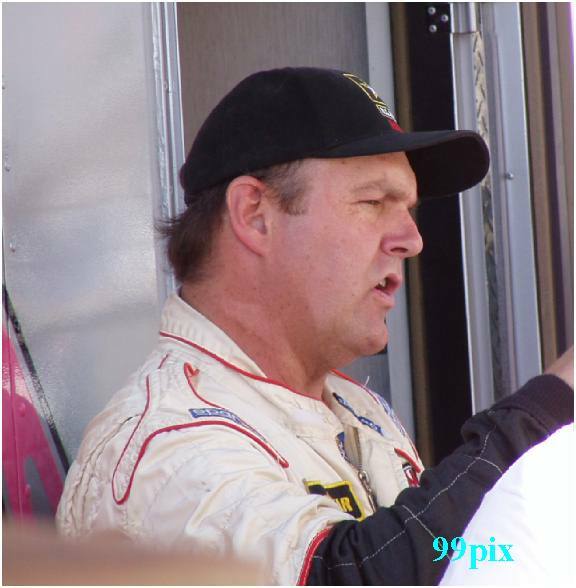 The race was a hallmark for veterans Alvis and Pankratz who were celebrating their birthdays, Alvis at 69 and Pankratz at 56.Alvis celebrated his birthday and 50th career win from the previous week at the Reno-Fernley Raceway by clocking in with the fastest lap of the 25 entries. Steve Roza scored his first heat race win, taking the eight-lapper over Lawrence and Lindsey. DeBeaumont won the second heat over Davis and Carson with Sarale claiming the third heat over Meseraull and Berryhill. Pankratz took the trophy dash ahead of Johnson, Rodriguez and Alvis. Beard won the semi-main with Lindsey taking second over Eric Mostin and Jim Fowler.